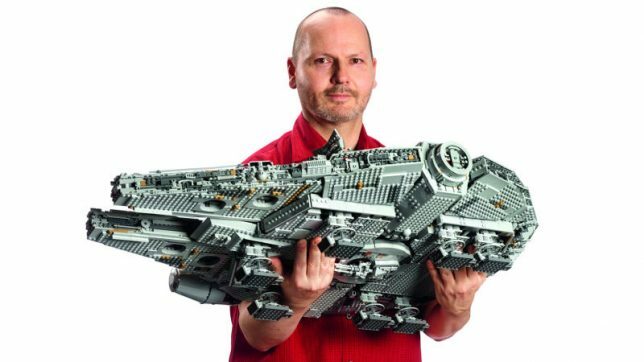 You don’t get a sense of just how large and complex Lego’s latest kit really is until you see it someone’s arms, or taking up the entire table surface in front of them. 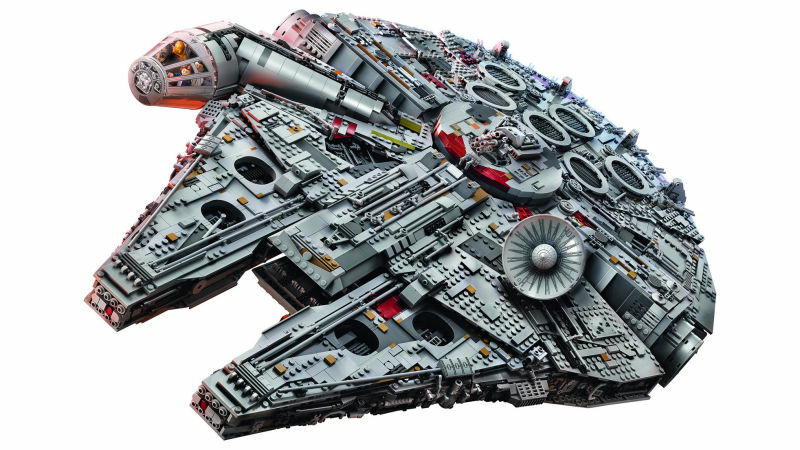 A gift for true enthusiasts of both the toy brick company and Star Wars, the Ultimate Collectors Series Millennium Falcon is the single largest and most expensive Lego kit ever sold, presented in a huge box full of 7,541 pieces. In fact, the box is so heavy that Lego teased on Twitter that they’d have to add wheels and a handle so customers can get it out the door. An update on the last Ultimate Collector’s Millennium Falcon, which was released in July 2007, this new set expands it by over 2,000 pieces, adding a stunning range of details that will delight discerning fans. You can even swap out the deflector dishes to either look as they did in the original Star Wars trilogy or in The Force Awakens. 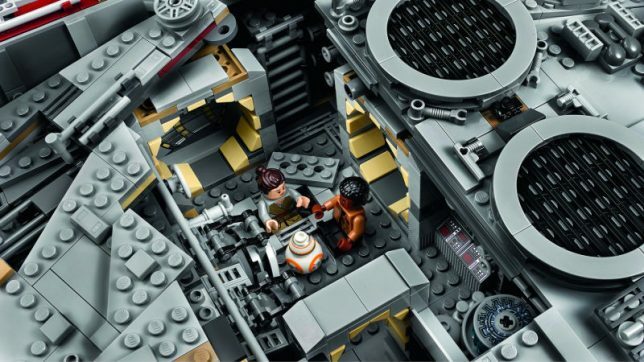 It comes with 10 minifigures, including Leia, C-3P0, Han and Chewbacca from the trilogy and Finn, Rey, BB-8, ‘Old Han’ and two porgs from The Force Awakens. 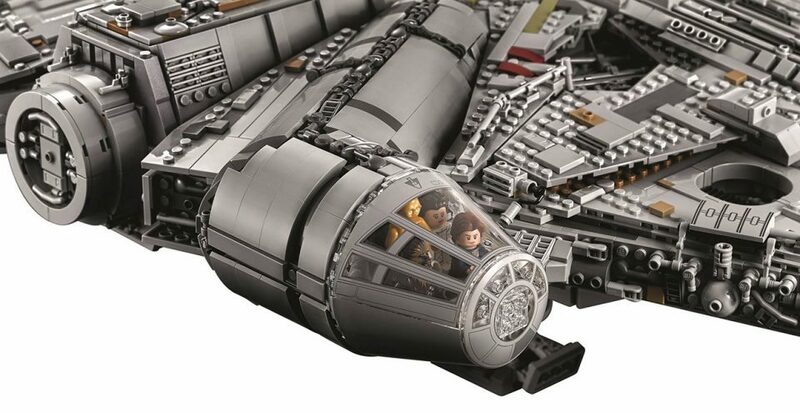 You can even spin the original Han and Leia’s heads around to reveal optional faces outfitted with air respirators. 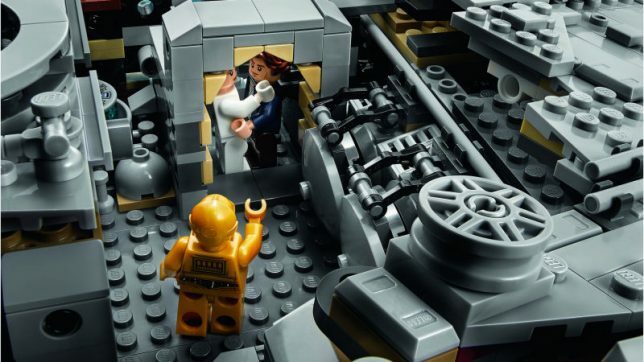 Fans who missed out on the 2007 model still pay up to $3,000 in the rare occasion that one pops up on eBay, and Lego expects the new set to sell out, so if all of this news has you swiping everything off your dining table in anticipation, you’d better run out and get one as soon as it goes on sale October 1st.